In part one of this two part series on “everything you could possibly want to know about titles and headlines on your blog”, I wrote about how to write effective, attention-getting headlines and titles, and in this part, I’m going to give you more than you might ever want to know about how to maximize titles and headlines in your blog, digging into the code and how titles are used on your blog. The title of your blog is a title. The title of your post is a title. The section titles in your post content are also titles. Each one plays an important role in helping your readers read your blog article, but they also play an extremely important role in how your page is evaluated and displayed in search engine results. Titles are used in lists found in lists of related posts, most recent posts, site maps, and many other lists of posts and articles you’ve written on your blog. Titles are used by other bloggers to feature the article on their blogs, whether in a specific article or on a link list. Titles are showcased on search engines, tag services, blog networks and feed services, and social bookmarking services, among other offsite listings. Titles are used in so many ways, it’s important to look at the different uses for all of these titles and how to make the most of your well written titles on your blog. Since titles are so import to search engine optimization (SEO), shouldn’t you learn how they are used on your blog? Which Comes First? Blog Title or Post Title? Showcasing Titles on Your Blog – How Many Ways Can You Say Title? What is a Permalink Link? Another Hidden Title! Blog Title: This is the name of your blog. It is also known as your blog name or site name, and could be also referred to as your domain name, URL, or address if your blog title and website address is the same. For example, my main site’s name or title is Taking Your Camera on the Road, which we shortened for the domain name to cameraontheroad.com. 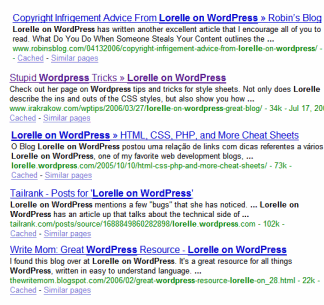 My domain name here is “lorelle.wordpress.com”, but the blog title is “Lorelle on WordPress”. They don’t have to match, but they often do. 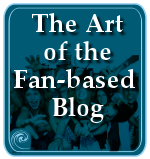 For our purposes, the blog title will be the “name of the blog”. Blog Description: The blog description is also known as the tagline, blog subtitle or subheading. Many blogs feature a title name and then a subtitle under the name. Photomatt.net, main site for Matt Mullenweg, chief cook for WordPress, has a tagline of “Unlucky in Cards”. Blogging Pro’s blog description or subtitle is “News, plugins and themes for blogging applications”, giving you more information on what the blog is about. 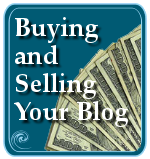 Usually the blog title and blog description often work together to add keywords to help describe your blog’s purpose. Post Title: The title of the article or post is known as the post title, blog post title, title or headline. It is the descriptive sentence or phrase that should describe or provide a hint as to the page content. Headings: A heading is also known as a subtitle, subheading, or section title. It is a title below the post title that breaks the article into sections. As a search engine crawls through your blog, it gathers data from the various locations which traditionally store the blog title, blog description, post title, and headings, and matches the keywords within those title locations with the keywords in your content. If they match, the algorithm adds points to your SEO score card. From the blog title and post title, the search engine collects the information used in the top line of search results. Occasionally, the blog description or tagline title is also collected as the first line of the paragraph of text below the titles. The rest of the search engine result information consists of the first or appropriate section with the searched keywords in the text, which may include headings. Searchers scan their eyes down the list of search results, looking for their keywords or phrases, focusing on the post title, blog title, then the paragraph below, to see if what they are looking for is there. If it is, in a click they are there. Because each one plays an important role in how search engines gather data from your web pages, and they are critical to helping the reader find and read your blog, let’s look at the structure and coding of these each individually, and then we’ll explore how titles are used throughout a blog, search engine, and other methods. As usual on this blog, the coding is specific to WordPress, but the principles are the same for all blogs, even if the code language is a little different. The coding is for the full version of WordPress and may involve access and editing of your WordPress Theme template files. Still, whether you are using the full version of WordPress or WordPress.com, it’s important to understand how all these elements work to showcase your titles on your blog. The blog title is shown in the title at the top of your web browser’s title bar. 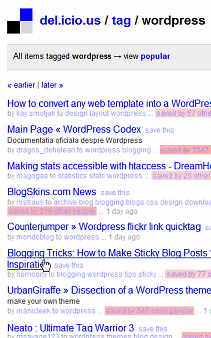 The blog title is showcased in search engine search results on the top line. The blog title is usually part of the title stored by bookmark managers, social bookmarking services, and other link storage methods. People who link to your site usually begin their link with your blog title followed by the post or article title. The blog or website title on a web page is stored in the head section of a web page’s HMTL structure in the title tag, above the rest of the tags as the first tag in the head section. Browsers look for the title tag and pull that information to use in the title bar of your browser. Search engines also gather the name of your blog from the title tag, as do feeds and any other automatic programming that processes and gathers information from your site for displaying elsewhere. The header section of your web page design is also known as the masthead and usually displays some form of graphic, the blog title, blog description, and often some links to your About and Contact Pages. In WordPress, the blog name and description is entered via the WordPress Administration Panel > Options > General Options. The blog description are the descriptive words that summarize your entire blog. There are time when the blog title in the title tag might be different from the title showcased in the header and displayed as the blog title on the physical page. 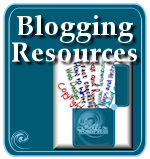 For example, the title tag may feature “Master Blogger” and the title shown on the web page’s header is “Alison’s Master Blogging Blog”. To confuse things more, the domain name might be “mblogger.com”. Search engines and other programs which process the title of the blog from the title tag will collect “Master Blogger”, since that is what the machines see but is invisible to the visitor. 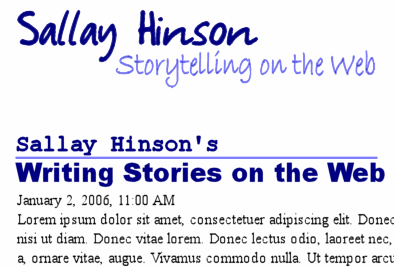 A human will use “Alison’s Master Blogging Blog” as the title, because that’s what’s visible in the header of the page. Should they be the same? That’s up to you. If you want a consistent title associated with your blog’s name, then it’s a good idea to make these be the same. The keywords found in your blog title and description are critical to search engines and helping your blog get found when people search. According to Pro Blogger’s experiences, title tags can make or break your search engine optimization efforts in search results and influencing searchers to click. The right keywords help guide the reader to your blog because the title of your blog tells them “this is the place for the information you are seeking”. Choose your blog’s name wisely. The title of the post or article you are writing is called the “post title” on blogs. It is also known as a “headline” or article title. It is the keywords or phrase that encourage a reader to read what follows. It can be enticing, teasing, or informational. As you read in “Writing Effective, Attention-Getting Headlines and Titles on Your Blog”, post titles can make or break the success of your post and blog. Your post title is more than just a namesake for your post content. It is a mini-representative of your post content that goes out to announce your post to the world. As a representative, it should speak well of the content it represents. So let’s look at how a post title is used on the web. The post title is often shown with the blog title in the title at the top of your web browser’s title bar. The post title is shown with the blog title in search engine and tag search results on the top line. The post title is the title stored by bookmark managers, social bookmarking services, and other link storage and share methods, which may also include the blog title. Trackbacks from your blog to another blog you link to and vise versa include the blog title and post title in the trackback link. Links and recommendations to your article or post typically feature just the post title or a combination of your blog name and post title. Feeds feature post titles, post titles plus excerpts, or post titles plus full articles. Feed readers often feature feeds by post title in a separate list as well as an additional view of the overall feed. Recent Posts, Related Posts, Most Popular Posts, and similar lists of posts on your blog typically feature just the post title. Feed aggregator services and blogging networks which pull feed excerpts from their featured blogs highlight the post title and blog name prominently, occasionally with a post excerpt. I’m sure there are a few ways a post title is used that I missed, but this gives you an idea of the importance your post title is to getting noticed and found on the web. There are two ways of displaying a post title on a WordPress blog. One method showcases the title as text only, no link, as shown above. The other method turns the post title into a link, which will take you to the article when clicked. <a href="<?php the_permalink() ?>" title="<?php the_title(); ?>"
Many WordPress Themes feature a clickable link on the multi-post page views, but on the single post view, the post title isn’t clickable. It’s just text. Why should the title of the post be a link when you are reading the post? You might think this useless, since clicking would only reload the page, but there are some very good reasons why the single post view title should be inside of a link. I, for one, am a huge fan of making all post titles links. There are many new power-user techniques to help bloggers copy links for pasting in their blogs. One such example is the Firefox Extension called CoLT – Copy Link Firefox Extension which gives power users the ability to create a custom layout of exactly how you want to copy an entire link. I want to copy the link location (URL) plus the title of the link in the link’s HTML anchor tag, as well as the title of the link. 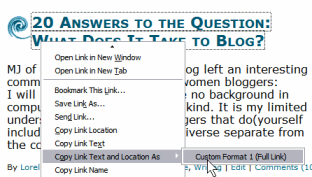 For example, instead of copying the link and then typing out the whole HTML link anchor tag in my article, and pasting in the link URL, I can just right click the link and select “Copy Link and Text” from the right click menu, and then paste the entire link into my blog’s editing panel. Fast and easy I have a full link that requires no additional typing. For a post title and long link like “A Technorati Tag Bookmarklet for WordPress and WordPress.com Users”, that’s a lot of keystrokes. And a few words that are easily misspelled. On a single post with a clickable post title link, with the CoLT Copy Link Firefox Extension, it’s a three click job, and the spelling and post title is exactly as the original author wanted it to be. The easier you make it for others to link to your posts, the more links you may get. Whether or not you include your post title in a link on every page view of your blog is up to you. Though some web designers and bloggers like to add a few other accessories to their post titles. title="<?php the_title(); ?> from <?php bloginfo('name'); ?>"
I was asked recently to create a post title design layout to include the name of the blog in the post title. The test design featured the title of the blog over the name of the post. Since the blog author’s name was the blog title, this emphasized the author’s name with the article. <h2><a href="<?php echo get_permalink() ?>" rel="bookmark"
And the rest of the design is just frosting. Notice that in the post title, the the_title() template tag is used. This tag only works when it is inside the WordPress Loop, PHP code which gathers information from your database about your posts and then “loops” through it again to create more than one post if the users is viewing a page with more than one post. In the title HTML tag in the head section of the web page’s code, the wp_title() WordPress template tag is used as it works outside of the WordPress Loop. Both template tags request the post title from the database, they are just used in different places. When used this way, the blog title and post title appear in the browser’s title bar for single posts and search engines use this information as the “title” in their search results. Even without the conditional tag to determine if the page view is the single post view, the job of the wp_title() template tag is to generate the “title” of the page being viewed. If the post is a single post, then automatically the title of the post will be viewed. If the page view is for posts written within a specific month, then the title of the page would be “January 2006”. 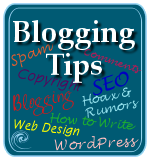 For example, if you are viewing a category page for the “Blogging Tips” category, the title in the header of the page would be “Blogging Tips”, the name of the category. This creates a highly flexible titling feature which titles the page names without much effort from you. Combined with the various Conditional Tags available, you can further customize the titles of your pages depending upon the content or type of page viewed. I’ll go into this a little more in a moment. This confuses some people who then think that the title of your blog is really the post title, since it is out of the typical order. There are some who think that you may get better results if the keywords of your post title comes first and the name of your blog comes last. The Optimal Title WordPress Plugin automatically switches the blog name and title to “post title – blog name” and gives you the ability to add text in your titles, without changing your WordPress Theme template files. We’ll explore more about various ways to work with these title template tags and post titles in WordPress later. Let’s look at the last category of titles featured on most blogs and websites: headings. HEAD: The head is an HTML tag found in the head section of your web page right at the top of all the code with other coding instructions for how the page should be displayed. Your blog’s title, and possibly the post title, are stored in the head section in the title tag. You will never see the title tag displayed directly on your web page design. It will appear, however, in search engine results and in the top title bar of your Internet browser. HEADLINE: A headline is another name for the article or post title. The name comes from the days of newspapers. HEADER: A header is another HTML tag section that holds the design elements for the blog title. It may feature graphics or special design features so people know this is the top part of your blog’s layout. 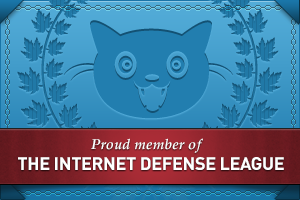 Is is also known as the masthead. The header is usually an HTML DIV tag identified with an ID of “header” such as <div id="header">. MASTHEAD: The masthead is the section that holds the name of a newspaper or magazine. This term is occasionally used in web design as a synonym for the header. HEADING: The headings in an article are also known as subtitles, titles for various sections in an article used to break up a large article into smaller, related chunks of information. In HTML, headings are designed with h1, h2, h3, h4 and so on HTML tags. Traditionally, the larger the number, the smaller the font size. The h1 is usually reserved for the blog title, and the h2 is reserved for the post title. Headings are section titles underneath the main title which breaks up content within the article or post. 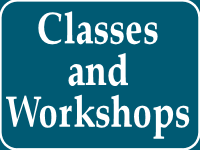 Headings are “mini-titles” or section titles. Headings group related content together and makes it easy for the reader to scan a page and focus on the information most important to answer their question. To break content into readable sections. To support the content and purpose of the article in outline form. To provide more keyword fuel to search engines to help searchers find your article. Search engines look in heading tags for keywords, giving you extra points if the keywords found in headings matches keywords found in other title locations as well as the content itself. Which comes first? The Blog Title or Post Title? In HTML, headings are displayed using the <hX> HTML tag, with “X” representing a number. Typically, the largest heading size is h1, and the smallest is h5 or h6, though few use the smallest heading tags. On most blogs, including WordPress, the h1 heading is reserved exclusively for the blog title. The h2 is reserved for the post title. This leaves h3 and h4 available for use within a post’s content. According to web accessibility standards guidelines, headings should follow a consecutive order, starting with h1 and going down through the post with h2, h3, and so on. Physically, they should also get smaller as the number gets bigger. adipiscing elit. Suspendisse suscipit eleifend magna. To use these within the WordPress post content areas, simply type them in when you need them, with the opening and closing tags. If you are using WordPress’s Rich Text Editor, you may have to switch to HTML mode to add the tags. It’s now time for us to explore a variety of ways you can make your titles work for you on your blog. Your blogging software may not feature the variety of title techniques available in WordPress Theme designs and WordPress Plugins, but it might. By exploring the various ways WordPress can use titles in your blog’s layout and design, you may learn how to maximize titles in your own blogging tool. The goal here is to examine all the ways titles work on a blog and how to increase your various titles’ exposure by controlling where titles are found, what titles are found, and how titles help increase navigation and “stickiness” so visitors will stick around on your blog a little longer. In WordPress, there are three basic “title” template tags. There are many ways to use these title template tags within your WordPress Theme template files and design, and many WordPress Plugins you can use to put titles everywhere on your blog. To use these, edit the template file where you would like to add or make a change in the title element. Remember, some of these template tags work only within the WordPress Loop and others will work anywhere in your template files. Let’s take a quick trip through some of the various title features you can use to help make your blog titles work overtime on your blog. The third type of title is bloginfo(), a template tag that generates a variety of information about your blog that can be used anywhere in a WordPress Theme template. One of it’s parameters allows it to display the blog title: <?php bloginfo('name'); ?>. It can work anywhere within your WordPress Theme, and there might be a few places you would like to have your blog title appear beyond just the title or header sections of your blog. There are a lot of ways of incorporating your blog’s title and name into your WordPress Theme and design. It’s up to you to say how much is too much. As you’ve seen, the_title() template tag is designed to work inside of the WordPress Loop and the wp_title() works outside of the WordPress Loop. Both pull the title of the post from the database when the page is generated. However, if you would like to include the title of the post in the sidebar, or an area outside of the WordPress Loop, you could use the wp_title() template tag. 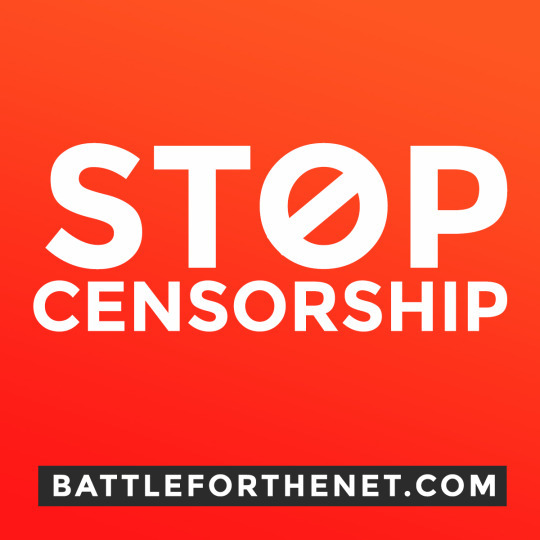 Related Posts: You are currently reading “The Post Title”. Offering a list of titles of related content helps visitors find more information and help, and increases the time they spend on your blog. Have you forgotten your basic blog navigation links like next and previous posts? This is another way of getting more views of your post titles. For many WordPress Themes, these next and previous post links simply say Next and Previous, not a strong incentive to find out what posts are indeed next and previous from the one the visitor is on, is it? So let’s add some post titles to those navigational links to encourage their clickability. A “next” or “previous” doesn’t inspire clicking confidence, but a suggestive post title increases the changes someone will click it. Some bloggers and web designers want different text to be seen on the front page of their blog in the blog’s title, but not on the other page views of their blog. Since the front page typically would only feature the blog title and not the post title, this allows the designer to add a little more keyword punch to only that page. Using the is_home conditional tag, you can build a PHP statement that asks “if this is the home page (front) of the blog, then show this information, and if not, just show the title.” In the following code example, replace “with more blogging tips than sense” with whatever text you would like to showcase in the title tag of your blog on the front page. You can have a lot of fun with this feature by adding extra text to other titles within your blog. Incorporating the title of your blog and post in multiple areas within your blog’s structure may seem redundant. It depends upon your overall design, but giving your blog title and post title an extra hit within a web page may help your SEO and add just a bit more information to help searchers looking for your titles in search engine results. A permalink is the “permanent link” to a blog post. In other words, it’s the link you click to get to the post, and you also use to create a link to a blog post. But why do people insist on displaying a link called “permalink” on their posts or in their post meta data section when they could be using the title to represent the same link? A permalink link was used in the early days of generated posts. People would look for a link to the post from a multi-post page view and not find it, so they’d link to the whole page and not the specific post. The permalink link was created as a breadcrumb to identify the link to the actual post. Today’s blogs feature the title of the post as a link, so the secondary permalink link is redundant, though it is still occasionally used in the post meta data section. While few WordPress Themes continue to use this archaic method of identifying the link to the article, if your WordPress Theme features a permalink link, here is how to change it to feature the post title, giving the link a lot more value and information. <a href="<?php the_permalink() ?>" title="Permalink to article"
Permalink: <a href="<?php the_permalink() ?>" title="Permalink to <?php the_title(); ?>"
Now you have another spot to showcase the specific title of the post, and for those using quick link copying techniques, they can quickly capture the link and link text and paste the post title in their blogs to recommend the article. There are many ways to showcase your blog’s post titles throughout your blog. By increasing the “title” coverage on your blog, you increase your blog’s “stickiness” or “stickability”, the ability it has to encourage folks to stick around and spend more time reading what you have to offer on your blog. Your post titles can entice visitors to see what else you have on your site by using lists of post titles in various ways such as Related Posts, Most Recent Posts, Most Popular Posts, and other post title showcase lists. A very popular method is the Most Recent Posts list found in many blog sidebars. This list shows off the last 5, 10, or more posts you’ve written. To feature posts related to the current article, you could use the popular Related Posts WordPress Plugin by Alexander Malov and Mike Lu. There are also different WordPress Plugins which showcase your most popular posts based upon the amount of traffic the post gets. Alex King’s Popularity Contest WordPress Plugin features the most popular posts based upon page views and feedback from comments and trackbacks to determine how popular each of your posts are compared to each other and generates a list. You can use Coffee2Code’s Customizable Posts WordPress Plugin in combination with the archives template tag and create a a list of the most recent posts including one highlighted “featured post” at the top of the list in your sidebar. This is just the tip of the featured post list iceberg! Have you found other inventive ways to feature old posts in lists? On your WordPress Administration Panel Dashboard, you will see in the sidebar a listing of the upcoming posts about to be released on your blog called Future Posts. 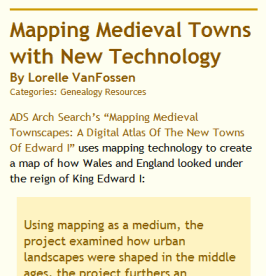 I wanted a similar feature on my Family History Blog to give visitors a reason to return with something to anticipate. I wanted to show off what’s next on my blog. Here’s a peak at what’s coming next on our Family History Blog. Future post previews are not for every blog. It works well for news and magazine style sites that want to tease the visitor into returning for more. However, if your blog is about cutting edge technology and you want to be the first out with the news, or you don’t work with future posts at all (then the list would be blank), then this won’t work for you. 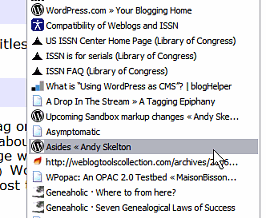 Put this in a section of your sidebar or elsewhere outside of the WordPress Loop. Feeds are another method of showcasing post titles, but not necessarily titles from posts you wrote on this blog. They come from other blogs. On this blog, I have several feeds which showcase post titles from two of my other blogs. I also have a listing of the most recent articles titles from Planet WordPress, the official aggregator used on the WordPress Administration Dashboard page for full version WordPress blogs. 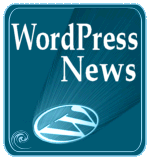 Supposedly, this is a collection of blogs which offer extensive WordPress information and news. To highlight the post titles from Taking Your Camera on the Road, I have the straight list of most recently published titles from the full site, and a secondary list of articles titles from only the Web Design Articles Category. Both involve using the new WordPress Widgets. In the WordPress Widget option under Presentation in the WordPress Administration Panels, I added the feed widgets with the following links. 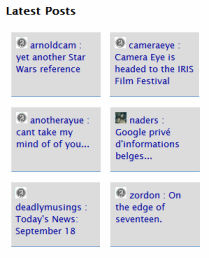 Thus, I’ve increased the post title coverage for my other blogs and blogs of interest to my readers. Since you are putting a lot of energy into taking full advantage of how titles are showcased on your blog, shouldn’t you also set an example for others on how to showcase their blog titles and post titles on your own blog? After all, part of what bloggers do the most is write and link to other blogs. So how do you do it? There are three main ways people link to other blogs from their own. Blogroll link lists rarely highlight post titles and specific articles. They usually feature the blog title or name. For the most part, you would think that would be easy, but I’ve found it’s not. As discussed, a blog can have several names. There is the domain name found within the blog’s URL address. It may be the same or different from the name on the blog found in the header or masthead. And it may be the same or different from the title of the blog found in the title tag. What do you do if all three are different? In general, when linking to a blog, use the name they use in their header section, the most visible “title” on their blog. Or, if you know their name, you can use both such as “Taking Your Camera on the Road” by Lorelle, which covers all your bases. Link lists come in two fashions. One is just a list of links featuring only post titles or blog titles with post titles. The other is a list that includes the blog title, post title, and a brief description or recommendation. I personally prefer the latter unless the post title link is in a huge list of resources, typically more than 20 links. If the link list is less than 20, I want to know why you are recommending this link. So write about why your readers should click and leave your site. The link’s text includes the blog’s title as well as the title of the post, giving your readers two important pieces of information: who wrote this and what is it about. I’ve seen many bloggers discuss a specific article or topic found on a blog, but they only give a link to the front page of the blog instead of the specific post highlighted. This causes a great deal of confusion for readers who follow the link. They are stuck searching for the information on this new blog, often ending in frustration as they don’t have enough of the keywords to find the right article in their search. Not all outgoing reference links need to showcase the title of the post or blog. Many incorporate links into the text without referencing the title or subject matter except in the words they use inside of the link text. Therefore, it is critical that the link text provide a hint to what the linked content contains. It’s important to consider what efforts you need to make in order to keep your readers reading your blog instead of just looking and leaving. Majority Rules: If the majority of your post content references the linked post and blog, then highlight the blog and the blog title prominently and obviously. Quote Rules: If you blockquote and quote from the blog post, then showcase the blog name, post title, and possibly the post author within your quoted reference. Minor Usage Rules: If you are making a minor reference and want to provide a link to more helpful information, on or off your blog, then incorporate the link into the text of the article without using the blog name or post title, unless necessary to make your point. Link List Rules: If the link is in a list, feature the blog title and post title in the link, together or separately. Make the link to the article you are recommending obvious and clear so your readers get the information they want and need, and set a good example for others. We’ve explored a wide range of how to write, create, and spread the wealth of your well-written titles and headlines throughout your blog and the web. Remember, the key to getting people to read your blog is giving them some bait to lure them in with your titles, as discussed in “Writing Effective, Attention-Getting Headlines and Titles on Your Blog”. The key to getting people to stick around is making sure there is plenty to eat when they arrive. You can have the best titles on the web, but without good content, you got nothing. How have you used your titles to get good results from search engines and increased your blog’s stickability and traffic? Have you used these methods? Or other ones? How do you make your blog and post titles work for you? Let us know how you get attention with your titles. 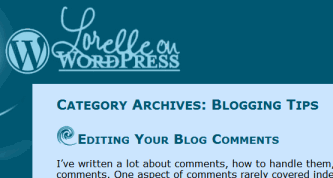 This entry was written by Lorelle VanFossen and posted on September 20, 2006 at 4:20 am and filed under blogging tips, Web Design, WordPress, WordPress Themes, WordPress Tips, Writing with tags design, how to use wordpress, site customization, Web Design, wordpress, wordpress help, WordPress Themes, WordPress Tips, wordpress tutorials. Bookmark the permalink. Follow any comments here with the RSS feed for this post. Post a comment or leave a trackback: Trackback URL. I cannot for the life of me get your post preview teaser script to work. Could you possibly upload it as a plaintext download so that I can make sure I’m getting it as it should be pasted into my template. You mean the future post preview script? Sorry about that. It should work fine now as WordPress.com’s core programming changed the apostrophes into character code. I fixed that. It’s a common problem with publishing such code in WordPress and other blogging programs. Be aware for all code you find on blogs that apostrophes and quote marks are often “prettied” and turned into graphic characters. They HAVE to be text in order to work as programming code. See Writing Code in Your Posts for more information on this. Working like a treat now! Much appreciated. Your link brought me to a page not found and I went to the blog and didn’t see the future post previews, but I’m thrilled that you got it working. Also, a little tip. You might not want to set your header link to your feed. Provide an obvious feed link instead. By tradition and default, people assume your header link is to the front page of your blog, not a feed. I was totally thrown by that as I am sure many others are. And since it is the first “link” found by search engines, it isn’t helpful to them either. You want them to find the front page so they can then crawl through all of your pages from there. Hi, I was wondering if there was a way to make a post title link to another website? No. And it is bad manners to force it to do so. Post titles are created automatically within WordPress. You never want them to do more than be your post title. Put the link in your post content, where is it supposed to be. this is very helpful information. please send me updates.